Ever wanted to monitor your city’s Current Weather Conditions, Carbon Footprint, Noise and Pollution levels? Do you want be a Climate Change Crusader or set-up your own Tweeting Weather Station and share your local weather conditions with the world? Meet Tweeting Weather IoT Station aka TWIST – a DIY, Open-Source Environmental Monitoring and Meteorological Data Acquisition Platform. The purpose of TWIST is so that individuals and communities can collect data of what’s actually happening in their environment and share this data on social media such as Twitter. 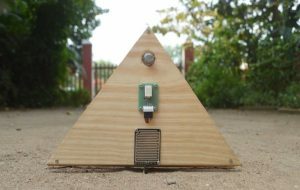 The first layer is a hardware board that contains all the weather and environmental sensors known as the ‘Sensor Board‘. As the name suggests, it carries sensors that measureair composition, temperature, humidity,rain. Additional sensors likeseismic activity, UV index, barometric pressure, altitude, lux(luminosity), sound levels, wind speed & direction,etc can also be added. Once it’s set up, the Sensor Board is able to stream data measured by the sensors to the second layer. The second layer is the Intel Edison Board that receives data from the Sensor Board, processes it and sends it to the next layer. 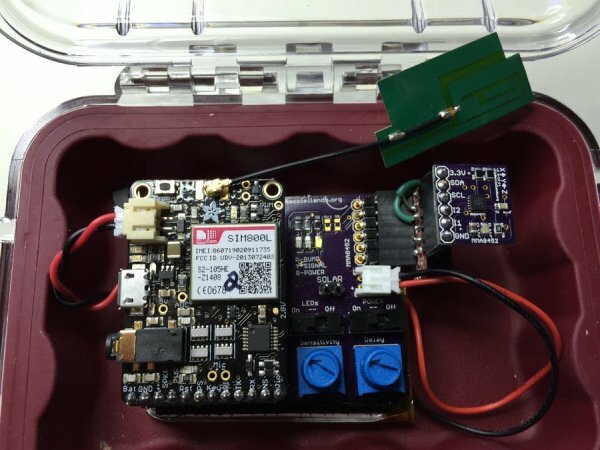 The third layer connects your Edison Board to the Internet over Wi-Fi using the wireless module on the Edison board and Tweet’s the Current Weather & Environmental conditions. I would like to thank Intel+Instructables for providing me with the Intel Edison Board. I plan on making many more IoT related Instructables using the Edison board. If you make TWIST, don’t forget to tweet the weather using #iotweatherstn. #iotweatherstn can be a hashtag used by all IoT powered Tweeting Weather Stations.